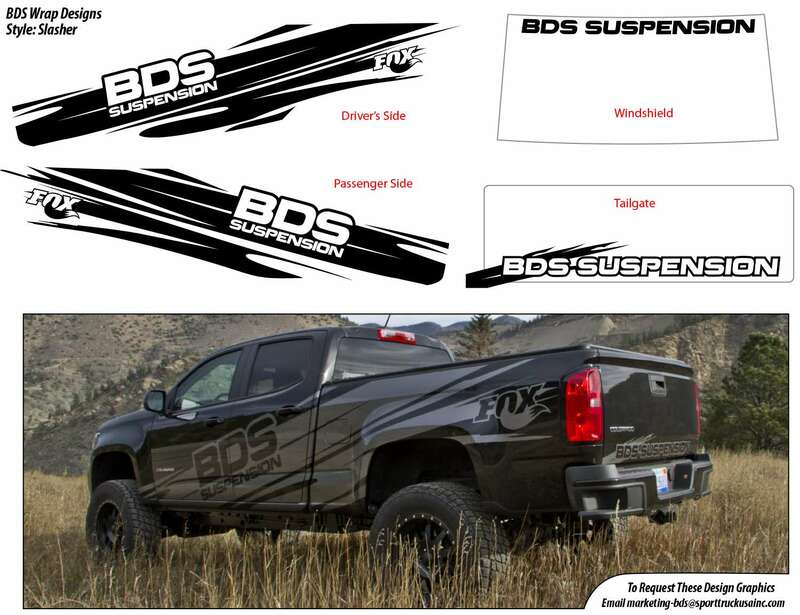 Accent your BDS equipped truck with a custom wrap. 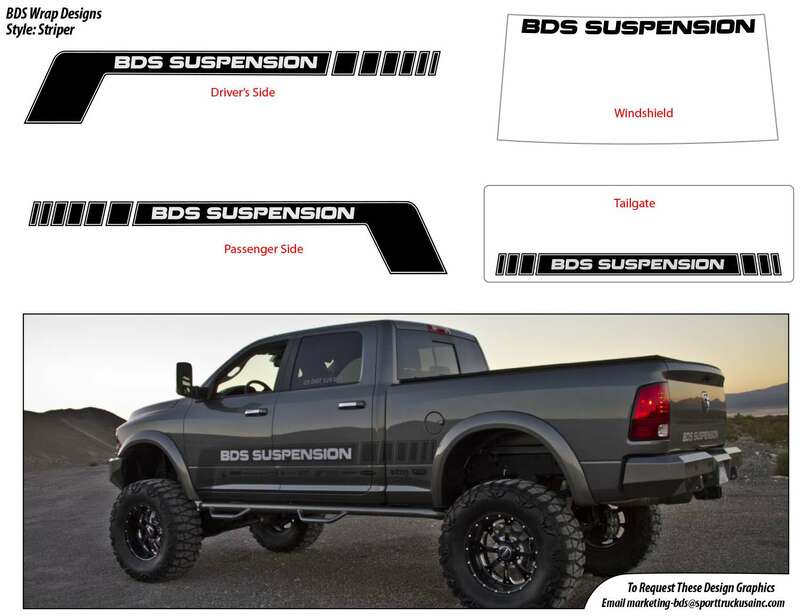 BDS Suspension is now offering graphics packages to turn your truck into a show stopper. 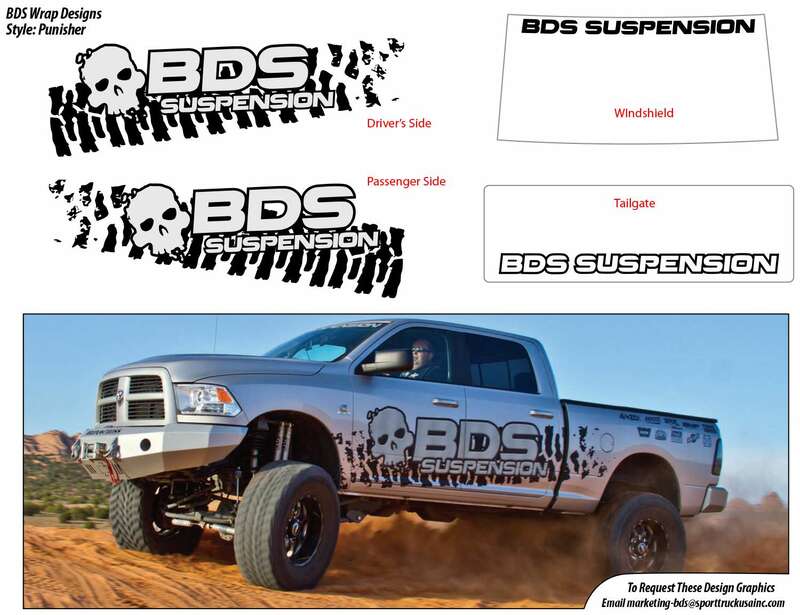 Check out the available designs below and email marketing-bds@ridefox.com to request the digital graphic designs. 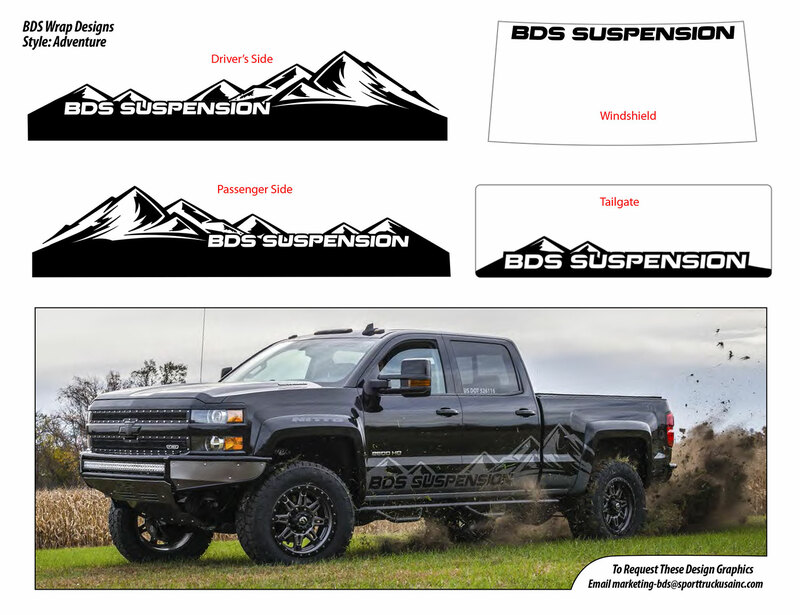 Take the design to your local sticker shop to have them scale and print them in the color vinyl of your choice to fit your truck. 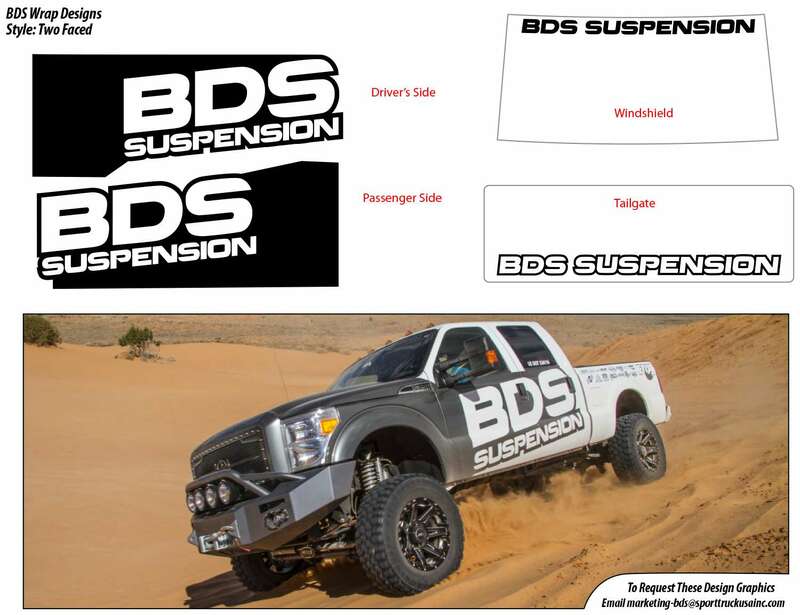 Wrap it up with BDS!